The eight tracks of this album are at times playful, and will appeal to the child in all of us, and at times more serious. 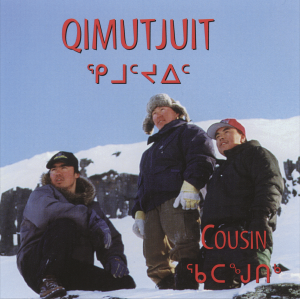 In the northern music scene, Qimujuit wrote a song with huge potential written all over it, called “Nunavut” meaning “our land”, before the territory was renamed on April 1,1999. These fantastic recordings serve up a nice, easy-listening sound, containing a blend of contemporary drums, guitar, bass, and the strong presence of keyboards throughout. This is clear from the start when an inspirational, electronic intro leads into the opening track, Qatangutik. Lead singer Charlie Iqaluk sings with passion in Inuktitut on seven songs. 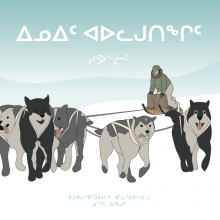 The members of the Qimutjuit Band are: Charlie Iqaluk, Eric Atagotaaluk and Paul Kasudluak.